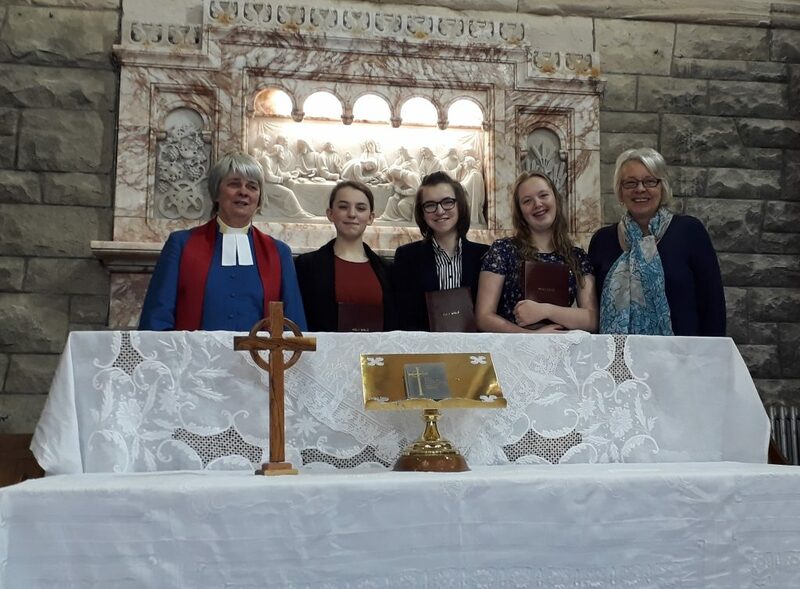 This morning’s communion celebration included the profession of faith, confirmation and admission to the Lord’s Table of Amy Park, Sarah Park and Megan Roberts. It is always a joyous occasion to welcome new communicants who have chosen to publicly state their faith. Each was presented with a certificate and a beautiful Bible to commemorate this significant day. The day was made additionally special as our Session Clerk, Elsa, was celebrating a significant birthday. Happy Birthday Elsa. Today also saw the official launch of our Tower Appeal. Sadly the sandstone has taken some weathering, and signs of cracking mean that some extensive work is required to ensure its continuing integrity.